실리콘 밸리에서 벌어지고 있는 소식, 특히 이 곳에 사는 사람들의 이야기를 생생하게 전해드리기 위해 Sungmoon Cho, Howard Kim이 2011년 10월에 만들었습니다. 이 사이트를 만들게 된 동기는 여기에서 자세히 읽으실 수 있습니다. 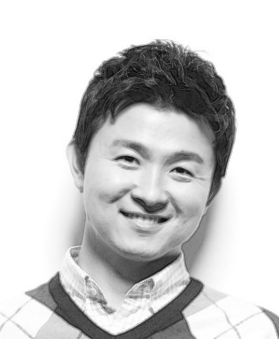 Sungmoon Cho (LinkedIn, @sungmoon) is Principal Product Manager at Oracle Corporation. He was founding member of Gamevil (KQ:063080), where he started mobile game development team and eventually positioned the company as a mobile game developer. Sungmoon holds bachelor’s degree of electrical engineering and computer science from Seoul National University, and an MBA from UCLA Anderson School of Management where he served as VP of Technology at Student Association. Outside of work, Sungmoon enjoys posting articles on his blog, and is actively engaged with Bay Area K Group, a professional Korean’s society, as co-chair, and serves as advisor to a Silicon Valley start-up. 조성문은 오라클의 수석 프로덕트 매니저로 일하고 있으며, Bay Area K Group의 공동 대표이기도 하다. 대학 시절 게임빌의 창업 멤버로 뛰어들어 모바일 게임 사업을 만들고 성장시켰다. 2008년에 만든 블로그(http://sungmooncho.com)가 계기가 되어 글을 본격적으로 쓰기 시작했다. 서울대학교 전기공학부를 졸업했으며 UCLA 앤더슨 스쿨에서 MBA 학위를 받았다. Howard Kim (LinkedIn, @howkim) is Video Producer at Yahoo! responsible for setting and driving the creative directions of original online video contents produced by Y! Studios. Howard has MFA in Media Study from SUNY Buffalo and a BS in Architectural Engineering from Yonsei University in Korea. Other areas of interests are web development for startups and non-profit organizations. 김형석(Howard Kim)은 현재 Yahoo! Studios 비디오 컨텐츠 프로듀서로 일하고 있다. Yahoo! TechTicker와 Upgrade Your Life, TechCrunchTV 등 하이테크 관련 비디오 프로그램 기획과 제작팀에 참여하였다. 연세대학교에서 건축 공학을 전공했으며 뉴욕 대학에서 미디어 아트 프로덕션 석사 학위를 받았다. San Baek (LinkedIn, @sanbaek) is Student at Graduate School of Business, class of 2013. He is about to do the internship in EVERNOTE and passionate on entrepreneurship. San holds bachelor’s degree of business administration from Seoul National University and worked for Ministry of Strategy and Finance for 3 years. Outside of work, San enjoys sports, travel, adventure, and meeting people through his blog. 백산은 현재 스탠포드 MBA 학생이며, EVERNOTE 본사에서 여름 인턴십을 시작했다. 그는 서울대학교 경영학과를 졸업했으며 입법고시(23기)와 행정고시(51기)를 합격한 후 국회사무처와 기획재정부에서 약 4년간 근무했다. 그는 스포츠, 여행, 모험, 그리고 블로그(http://sanbaek.com)를 통해 새로운 사람을 만나는 것을 즐긴다. Hyuk-tae Kwon (LinkedIn, @hyuktaek) is an entrepreneur and a growth hacker at StyleSays (@theStylesays). Outside of work, he has been writing a Chinese Economy Article for Business Tianjin Magazine every month since 2008. In the past, he worked as an Analyst at Goldman Sachs in Tokyo and Singapore. His hobbies include traveling, taking photographs, and exploring gourmet restaurants. Hyuk-tae holds a Bachelor of Commerce degree from Queens University in Canada. 권혁태는 미국 온라인 패션 스타트업인 StyleSays 에서 초기멤버로 일하고 있다. 캐나다 퀸즈대학교와 중국 북경대학교에서 경영학을 공부하였고 골드만삭스 도쿄및 싱가폴에서 근무하였다. 취미는 여행, 사진촬영, 맛집탐방이다.